Transform dull skin into an unrecognisably smooth, luminous complexion with this dual-action, ultra-fine exfoliants, featuring natural microdermabrasion technology. Natural, eco-friendly polylactic acid micro-beads and finely ground grapeseed gently and effectively remove dead skin cells to reveal the healthy, smooth surface beneath. Meanwhile, VENeffect’s signature phytoestrogen complex (including soy and pomegranate extracts) address hormonal ageing caused by declining oestrogen levels, stimulating collagen production to keep skin looking at its youthful, vibrant best. 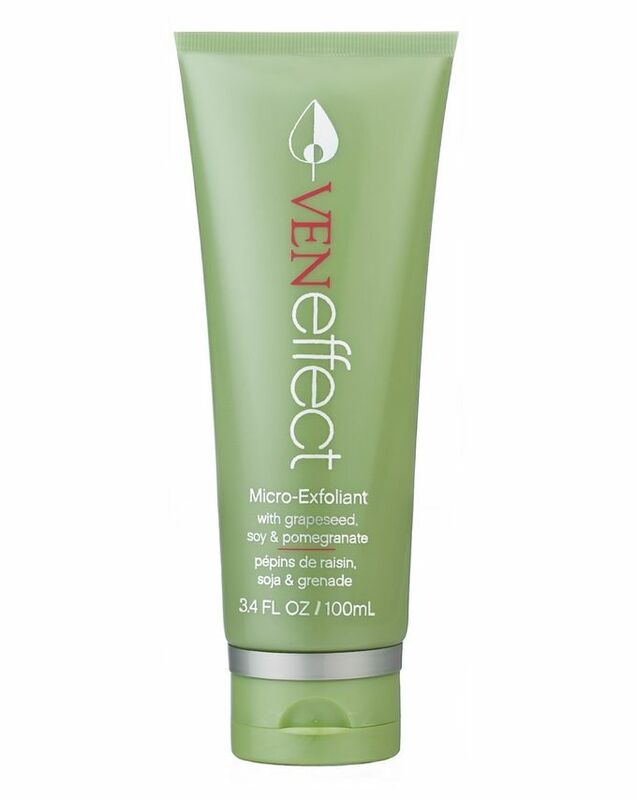 An innovation in exfoliation, VENeffect’s Micro-Exfoliant offers natural microdermabrasion technology to make your complexion unrecognisably luminous. The formula unites natural, eco-friendly polylactic acid micro-beads with ultra-fine ground grapeseed to gently and effectively remove dead skin cells and reveal the healthy, smooth skin beneath. Meanwhile, pomegranate enzymes provide further exfoliation, while amino acids and willow bar help to keep skin clear and radiant. Underpinning all of this is VENeffect’s signature phytoestrogen complex (which includes extracts of grapeseed, soy and pomegranate) which supplement declining oestrogen, in turn stimulating collagen production, which enhances elasticity and minimises other signs of ageing. The cherry on top of a winning formula, Micro-Exfoliant also contains almond extract to soothe skin and provide a sweet aroma. After cleansing, while skin is still moist, massage into skin in a circular motion avoiding the eye area then rinse with warm water. Use 2-3 times per week. 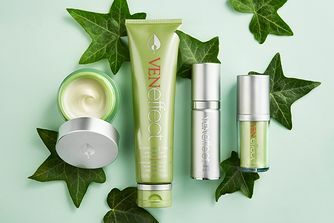 For optimum results use after cleansing with VENeffect Pore Minimizing Cleanser and follow with VENeffect Firming Phyto-Lift Serum and VENeffect Anti-Aging Intensive Moisturizer. Water (Aqua, Eau), Polylactic Acid, Butylene Glycol, Cetyl Alcohol, Squalane, Glyceryl Stearate, PEG-100 Stearate, Hydroxyethyl Acrylate/Sodium Acryloyldimethyl Taurate Copolymer, Vitis Vinifera (Grape) Seed, Limnanthes Alba (Meadowfoam) Seed Oil, Cinnamomum Cassia Bark Extract, Glycine Soja (Soybean) Seed Extract, Lactobacillus/Punica Granatum (Pomegranate) Fruit Ferment Extract, Vitis Vinifera (Grape) Seed Extract, Prunus Amygdalus Dulcis, (Sweet Almond) Seed Extract, Salix Nigra (Willow) Bark Extract, Sanguisorba Officinalis Root Extract, Trifolium Pratense (Clover) Flower Extract, Zingiber Officinale (Ginger) Root Extract, Hydrolyzed Soy Protein, Leuconostoc/Radish Root Ferment Filtrate, Glycerin, Sorbitan Isostearate, Disodium EDTA, Caprylic/Capric Triglyceride, Polysorbate 60, Chlorphenesin, Phenoxyethanol, Caprylyl Glycol. 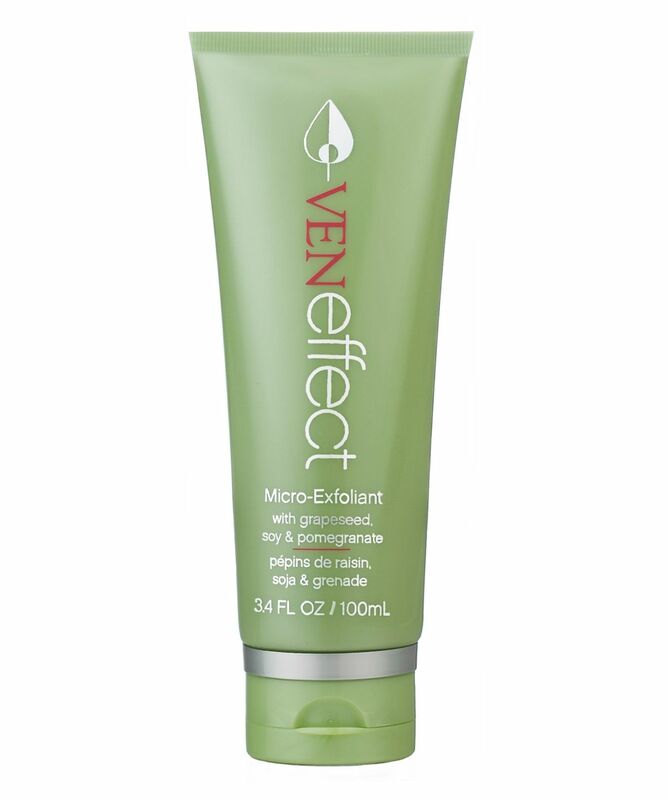 VENeffect Micro-Exfoliant is hypoallergenic, synthetic fragrance free, gluten free, GMO free, and paraben free. Made in the USA. Lucky me I got given a 10ml tester for free and I’ve just used this as I’ve suffered from few blocked pores on and around my chin and this has helped them a lot as they have become less red and not so noticeably. The micro-exfoliant is quite smooth but slightly grainy and it’s too rough on your face neither, but does leave your feeling exfoliated, I’ve only used this once and I’m very happy with the results.